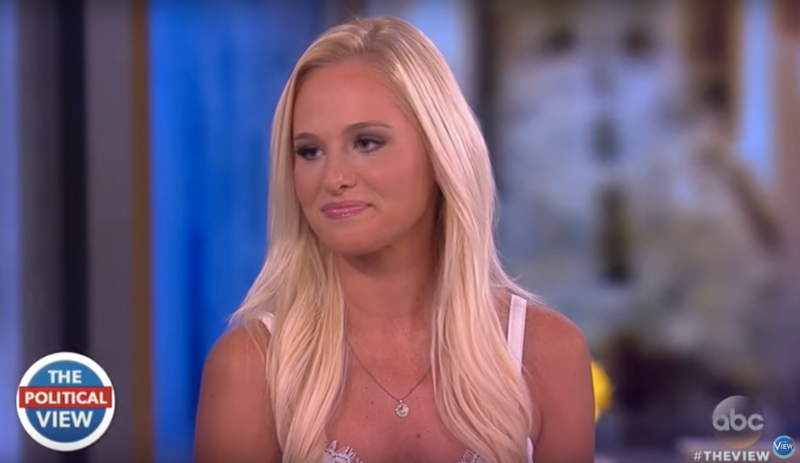 Tomi Lahren was suspended from her job hosting a conservative talk show on The Blaze after making pro-choice comments during an appearance on The View. She filed a wrongful termination lawsuit against the show, though she was still being paid under her contract’s “pay or play” clause. On Monday, Glenn Beck and The Blaze filed papers against Lahren for violating her contract. CNN reports that in Beck’s counterclaim he alleges that Lahren’s “employment agreement with The Blaze remains in full force and effect” and that despite her accusations of being silenced, she still has access to her social media accounts associated with her position. She is, however, required to abide by a non-disclosure agreement, according to The Washington Post, meaning she cannot “disparage, criticize, ridicule or make any negative comments about The Blaze, Beck or any of his employees or family members.” That may be what’s limiting her social media use, since what else would she have to talk about at this point? “The Blaze has had employment issues with Lahren for well over a year,” and that as a result of those issues the company had not intended to extend her contract after it expires in September. Those “issues,” according to the claim, included mistreatment of the crew on her show, on-air language that bordered “on profanity,” a propensity for conflict with other media personalities at The Blaze and purported ignorance in her analysis. Though so does everyone else.